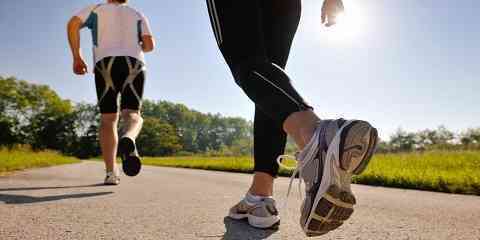 Runners usually take about 160 up to 180 steps in a minute. Of course, every step requires muscles related to leg and ankle. Many runners often experience pain whether when they are running or after they ran. Ankle pain running can be caused by different factors and this may happen in various cases. So, this ankle injury can be classified into some types. Ankle hurt when running can be caused by various factors. Based on the affected area, it can be classified into some types. You also must know about the treatments. One of the causes is muscle imbalance. It may relate to the weakness in the knee, calf, ankle foot & hip muscles. Besides that, it can also be caused by overuse. If you go running too hard, too long or too often, you may experience this ankle injury. Then, previous injury may also cause this pain. So, you cannot go running before your pain is really healed completely. Next, body problem is also linked to this ankle pain. For examples are excessive bone growth, stiffness, broken ankle or bones, etc. Another most common factor that causes this ankle pain is related to the running shoes. So, make sure that you get a new pair of running shoes every 7 months to keep it comfortable. Based on the areas of ankle pain, this condition is classified into some types. The first is side ankle pain. In this case, the possible injuries include ankle sprain, peroneal tendonitis, posterior tibial tendonitis, and tarsal tunnel syndrome. The second is running sore behind the ankle. 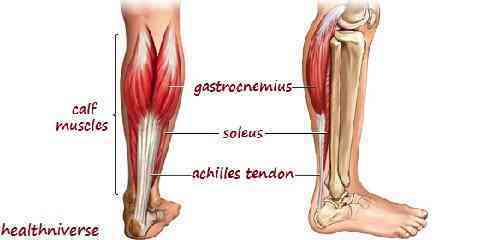 In this type, the possible injuries are achilles tendinopathy and retrocalcaneal bursitis. The third type is running pain under the ankle. This is called as plantar fasciitis. Usually, it is signed with ankle, foot arch and heel pains. Another one is anterior ankle pain. The cases may include shin splints and ankle impingement. Different cases may have different symptoms so that they need different treatments. Anyway, you have to treat your ankle pain as soon as possible. Besides the factors we mentioned above, this ankle pain can also be caused by other possible factors. One of them is stress fracture. It may happen in any foot bone but it usually affects metatarsals. Stress fracture happens if you suddenly increase running activity so that it leads to stress fracture on your foot. In this case, your muscles do not have endurance and strength to support your foot. Then, the excessive force may go through your bones. That causes a break in the bones. The symptoms include mild to moderate ankle pain & swelling. The location of the stress fracture depends on the affected area. Actually, it is still possible for you to go running with this condition. However, it can make your stress fracture condition getting worse. Then, the treatment and recovery will take longer time. For the treatment, you can use ice or ankle brace. You also need to take more rests. Sometimes, you also need to use a crutch or even take a surgery.